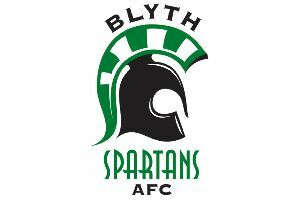 BEDLINGTON Terriers scraped an unconvincing 1-0 victory over Billingham Synthonia at Welfare Park on Saturday, to keep alive their hopes of securing the top six finish which was their aim at the start of a campaign approaching its end. The Terriers have been producing Jekyll & Hyde performances recently with fine performances against Ryton, Penrith and Whitley Bay being more than countered by woeful showings against Dunston, South Shields and West Auckland Town. Skipper Stuart Elliott, Chapman, Poole and Hamilton returned to the starting eleven, in place of Southern, Hedley, Graham and Lund. The home side almost took the lead inside eight minutes when Chapman's corner from the left saw Snowden power his header into the hard goalmouth, and the ball bounce inches over the crossbar to safety. The relief for the visitors was temporary though, as the Terriers did take the lead just past the quarter hour mark. A diagonal ball from the left by Talbot saw Synners defender Newby mistimed the bounce, allowing Phillipson to run through on goal. With the visitors' keeper Dixon advancing from his goal, the Terriers midfielder showed his cool by clipping his effort over the Synners stopper and the ball bounced twice before hitting the back of the net. The visitors were forced into an early change when Morrison had to be replaced by Carling up front. There was very little of note recorded in the remainder of the first half, which degenerated more or less into a midfield battle, with neither keeper being called into action before the referee mercifully put those watching out of their misery by blowing his whistle to end the half. The second period carried on where the first had ended, in an encounter that really had an end of term, nothing to play for feel to it. In fact it was just before the hour mark when Bedlington next threatened the Synners goal. Chapman, as has been said so often in recent weeks, was the creator, feeding Shandran who struck a low shot across goal which Dixon did well to tip around the post. From the resulting corner, the Terriers must have been left scratching their heads how they failed to double their tally. First, Snowden smashed his header from the supply line of Chapman against the underside of the bar, and then follow up efforts from both Morton and Poole were denied by last ditch blocks before the danger was finally cleared. The visitors were sporadically showing their attacking teeth, or at least enough to remind the home side that their lead was slender, and in conceding a foul breaking up one of these forays into the Bedlington half, goalscorer Phillipson earned himself a needless caution for kicking the ball away. Into the last quarter of an hour, it was Shandran's turn to hit the bar, in an effort sandwiched between a second change for the visitors (Brown for Newby) and the Terriers only substitution of the game (Southern for Hamilton). Synners almost made their hosts regret the gilt edged chances they had missed, when they had the opportunity to level the scores with just two minutes remaining. However, perhaps the chance fell to the wrong man, with defender Marron pulling his effort wide of the post from the edge of the area. Shandran still had a chance to make the score line more comfortable in the final minute when Poole's deep cross from the left saw the ball cushion volleyed back into his path, only to hit his effort high. In the end the Terriers deserved the victory, but the game was far from being a classic and the Terriers management team would surely put it into the 'job done' category. This game kicked off what was scheduled to be an incredibly busy week for the Terriers. After having no midweek game in the previous four weeks, they were due to play three games in five days at Welfare Park. Morpeth Town were first up on the Monday night (technically an away game for the Terriers), followed by the visit of Norton & Stockton on Wednesday night, then the much rearranged game against Consett this Friday night (all with a 7.30pm kick off). The Terriers complete their season with the visit of closest rivals Ashington next Wednesday night (5th May), which has been brought forward a day to avoid clashing with the General Election – in which of course, Ashington Chairman Ian Lavery is aiming to replace the outgoing Denis Murphy as MP for the Wansbeck Constituency. This game will be free entry for under 16s, so please bring along everyone you can for what is sure to be a competitive finale to the campaign for both sides. This Saturday sees the annual player awards presentation night at the clubhouse, starting at 7.30pm. It's always an enjoyable night, with the opportunity to mix with the first team squad, and so why not join the fun and show your support for the club.